Ultimate Cleaning Services Ltd. "Always and only to your satisfaction"
Carpet Cleaning in London City, West End and Docklands. 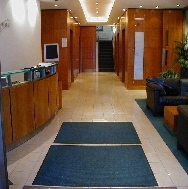 Ultimate Cleaning Services provide carpet cleaners in London Docklands, City and West End. We offer a wide range of professional carpet cleaning services including hot water extraction and bonnet buffing for offices and commercial properties. Carpet cleaning is an important investment in your home or office. Carpet cleaning will not only extend carpet life but also maintain a healthy environment. We use the latest, deep cleaning, commercial high performance hot water extraction system. This system is very thorough and ensures the best possible results. It is highly effective in removing deep-down dirt, grime, traffic marks and most types of stains - restoring carpets and producing first class results. for carpet cleaning in London City, West End and Docklands.